This weekend, the Society of Illustrators in NYC announced the medal winners for Illustrators 54. 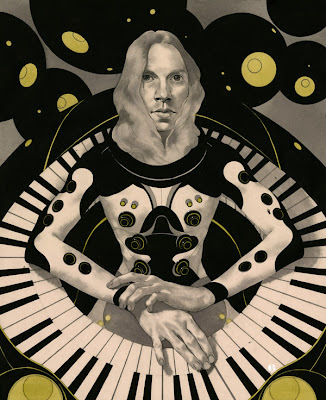 Our own Edward Kinsella III was awarded a silver medal for an illustration he did of Beck for Wired magazine. So let's give him a big congratulations for this well deserved award. Among other winners were Marcos Chin and Edel Rodriguez. We look forward to the opening show in February.